Multiple sizes to fit most vehicles. 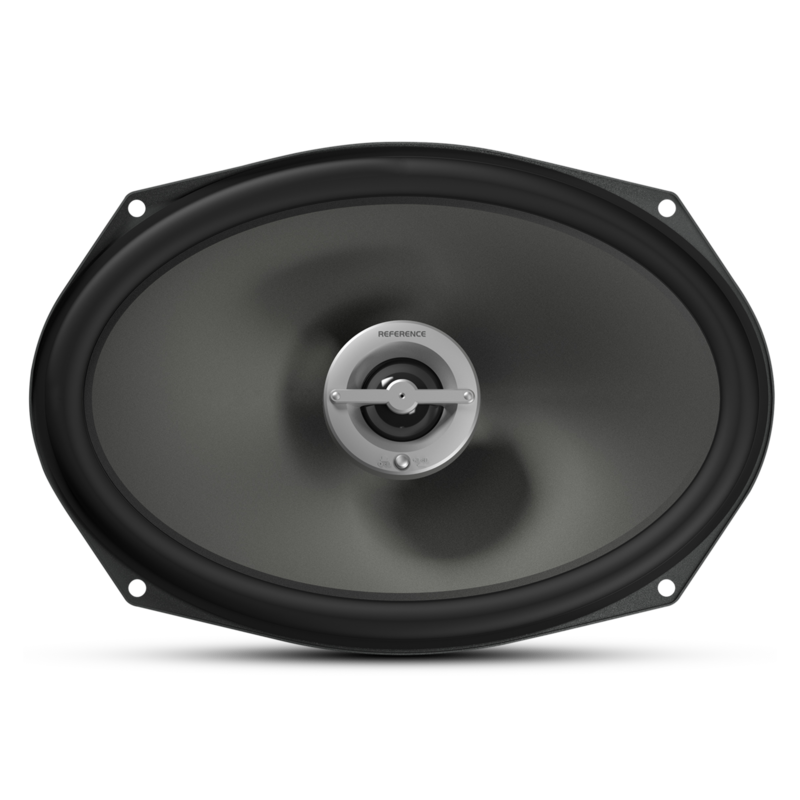 The Infinity® Reference X speaker series includes a wide variety of configurations to fit most vehicle speaker openings without cutting or modification. It’s the easiest way to maximize the sound performance of your factory system. This innovative design (patent no. 7,548,631 B2) yields up to 30 percent more active cone-radiating surface area compared to conventional speakers. These “over-sized” woofers deliver strong, accurate lows, greater bass output and higher sound pressure levels (SPL). High-performance edge-driven soft-dome tweeters in the Infinity® Reference X speaker series provide greater clarity with reduced distortion. In addition, they have higher power-handling capabilities and better sound integration with the woofers (all models except 3002cfx). The Infinity® Reference X series’ low-impedance voice coils make the most of the power they receive from the amplifier, extracting the strongest sound pressure levels (SPL) and the clearest sound from factory systems. Sometimes tweeters aren’t positioned in the best locations. This innovative feature lets you “aim” the tweeters for improved stereo imaging (models 6520ix, 5002ix, 9602ix and 8602cfx only). You and your passengers aren’t always “on axis” with the tweeters. Adjustable +0 and +3dB settings let you custom-tune higher frequencies, optimizing the sound for different in-vehicle tweeter locations (all except 3002cfx and 6402cfx). Another innovative Infinity® Reference X design feature, vented motor assemblies run cooler for greater durability and longevity. They also decrease mechanical noise by reducing the speed of the airflow in the motor. All of this leads to better bass response at very low frequencies. Easy installation and a custom-fit look. The included mounting adapter ring (models 6502ix, 6402cfx and 6500cx) makes installation easy, allowing the same speaker to be used in different factory locations. Component systems include low-profile tweeters that can be flush-mounted, angle-mounted or surface-mounted, giving you greater flexibility during installation. 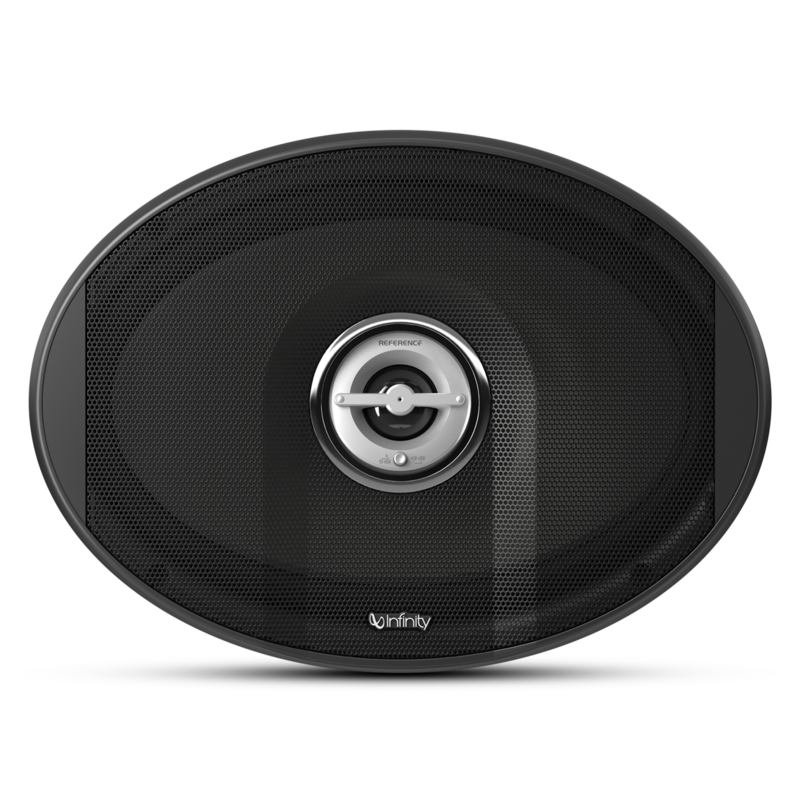 And of course you’ll want to show off your upgrade, so the Infinity logo is silkscreened on the woofer cones of grille-less models, and there are Infinity badges included if you retain the factory speaker grilles. Want an easy upgrade to your weak factory speakers without busting your budget? The Infinity® Reference X Series is for you. It’s engineered to bring your factory audio system to life, or to add clarity and depth to an aftermarket system. 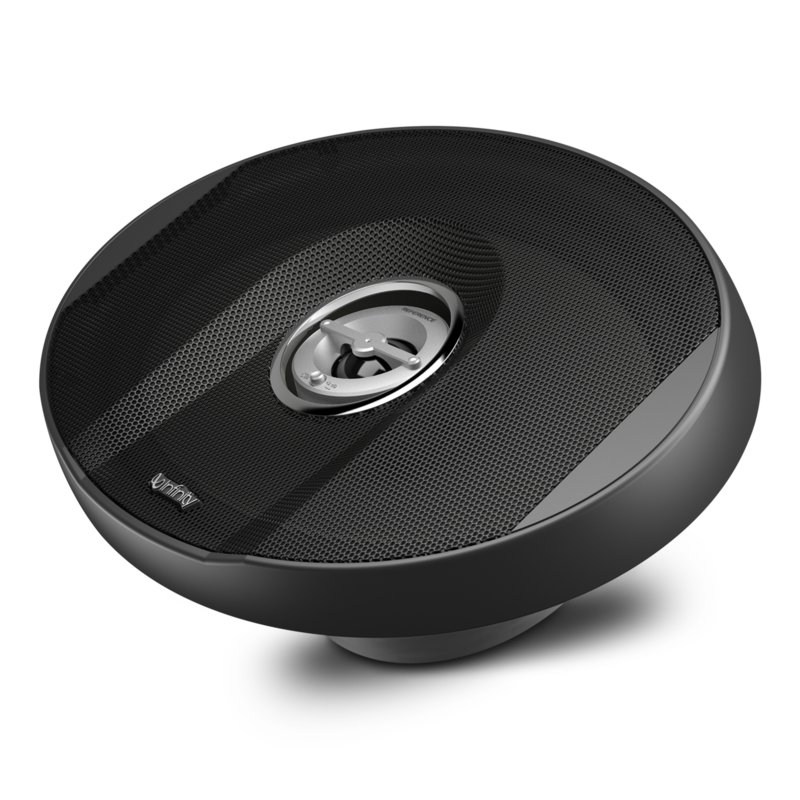 With innovative, patented technologies, and the kind of premium quality and construction that you’d expect from the world’s top-selling premium car speaker brand, Infinity Reference X speakers will transform your listening experience. The Reference X series includes multiple configurations to fit most vehicle speaker openings, so you don’t have to worry about major installation “surgery.” From 3/4-inch tweeters, to robust 6-by-9-inch woofers with coaxially mounted tweeters, to a three-way system that can handle up to 300 watts of power, there’s an Infinity® Reference X model that’s right for your vehicle. Engineered for best-in-class performance, and available at a very accessible price, Infinity Reference X speakers will deliver clean, crisp reproduction of your favorite music like you’ve never heard it before.